8:35 am 7 lbs 2 oz | Flickr - Photo Sharing! 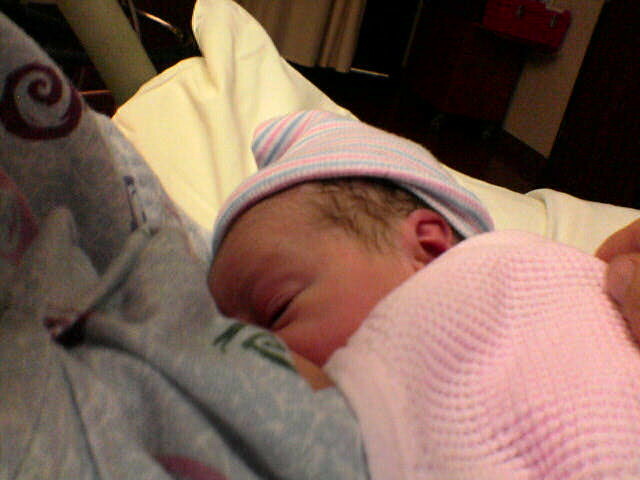 The official time was 8:33AM, her full name Fiona Grace Haughey. It was a bit of an ordeal, with the doctors prepared for her to come out not breathing, but once she was out, she started screaming and we were very happy. Alaina B., david, anildash, pb, and 9 other people added this photo to their favorites. Now you really do have a posse! Wow! Congratulations and best wishes. Beautiful! Bellisimo and all that! Wow! Congratulations Matt and Kay! And welcome to the world, beautiful Fiona! Congrats and welcome cutie Fiona! High five to the mother for all the hard work. Yea Matt, Kay and Fiona!! My best wishes to all three of you. oh what a beautiful baby... Welcome to the world, Fiona. Congratulations Matt and Kay! Welcome Little Miss Haughey and congratulations to your Mum and Dad. Congrats!! Fiona, you've got some parents. (empasis on "some", as in "awesome"). Yay! Yay! Fiona Grace is one lucky peanut to have the good sense to find great people like you and Kay to live with. MWAH!